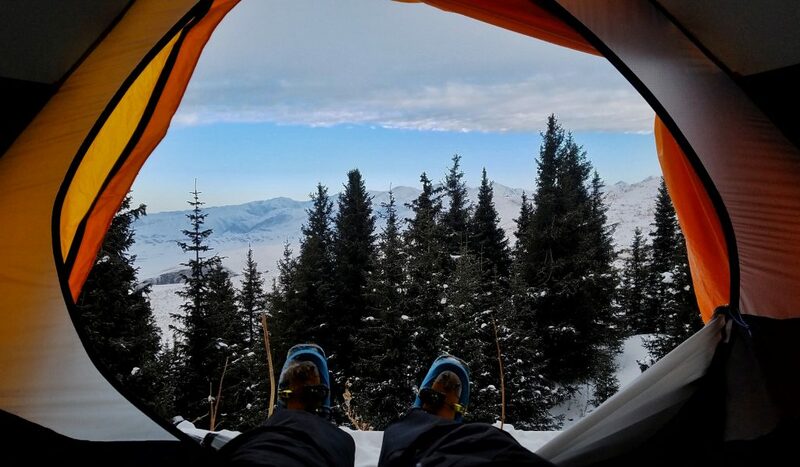 The mountains of Kyrgyzstan are big and relatively unexplored, especially by ski. To plan and execute a ski traverse and ski 3 peaks, two which would have been unclimbed, and one which would have been unskied. There was going to be a lot of work. 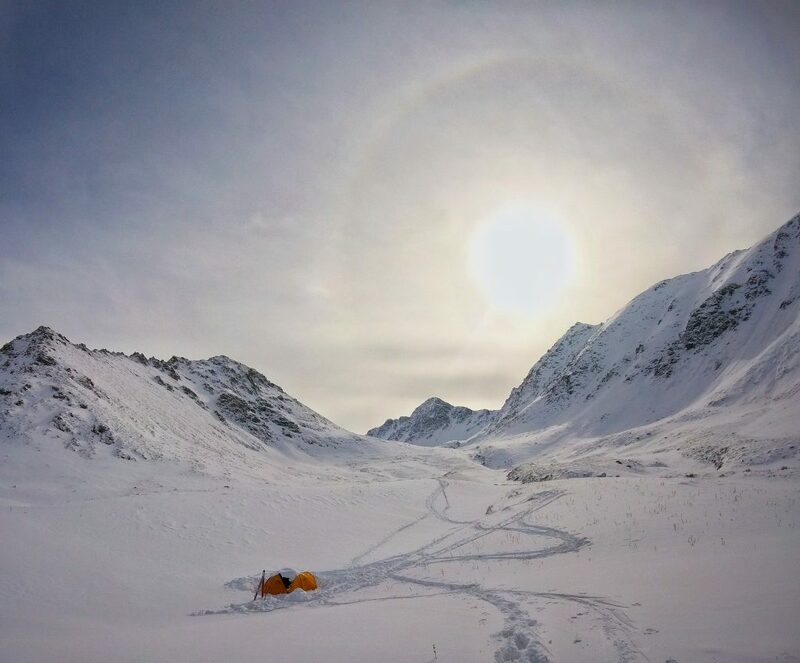 This is exactly why we wanted to go there, but also why a lot of things didn’t go to plan and why we were able to learn so much about trip selection, planning, team dynamics, communication, and mountain safety in an isolated and cold part of the world. We started planning this project in July 2016. There were about 10 female skiers who initially expressed interest in participating but this quickly shrunk to three. 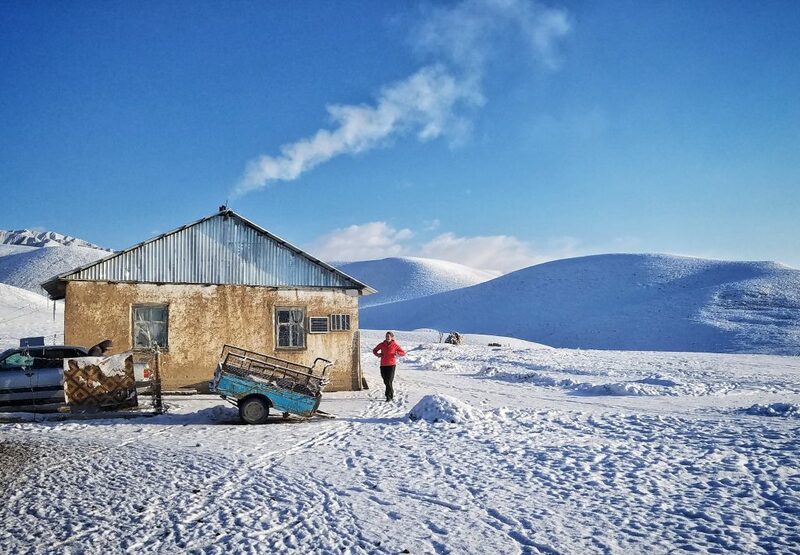 We set out to head to Kyrgyzstan in January 2017 but in December decided to push the trip back a year because of injury and our general lack of funds and preparedness. Over the following 12 months we put in A LOT of work. The commitment was big, probably 10 hours/week of work required in trying to get sponsorships and apply for grants, study google earth, liaise with local guides and connections, follow the weather, etc etc. We also were training intensely following a customized six day/week program created by MTI. We all underestimated how much work this project would be. It was an even bigger challenge with the three of us on different continents and therefore timezones. We all had to put in some late nights and early mornings to coordinate group Skype meetings. The last time that we were all in the same spot was July 2017 hence we decided to meet up in Canada for a week prior to heading to Kyrgyzstan in January 2018 to reacquaint ourselves, reaffirm goals and objectives and test out our new gear. This was a good decision; we confirmed that our packs would be really heavy, that we still weren’t confident with a few different rope skills and that our stove wasn’t working. To get sponsorship is not easy, ask any professional athlete. But we really thought we had a unique pitch and we were an all-female team. Surely companies would love us?? It really wasn’t so. We spent days writing to various companies asking for support and really didn’t end up with much in return. We got some pro deals and a few bits and pieces of clothing but no money and nothing substantial. It was pretty disappointing. Grants were even tougher; long applications thoughtfully written accompanied by detailed maps, budgets and more. At one point I was positive that if we’d simply spent the hours we’d used on applications working at the local grocery store we would have been much more effective at raising funds. All the hard work finally paid off however just a week before heading to Canada when we heard back from The North Face and were offered gear including a tent and -40 sleeping bags. It was a lifesaver. Many days waiting in the At Bashi town meant we were able to go to the very important local livestock market. 1) Our group size and commitment in the 6 months building up to the trip. Three was a good number to split workload and gear, and not too big to allow for larger disagreements or slacking off. 2) Our planning for most aspects of the trip was very good. We were dedicated to our training program regardless of where we were in the world and were all very fit and strong heading to Kyrgyzstan which made us a lot more confident. 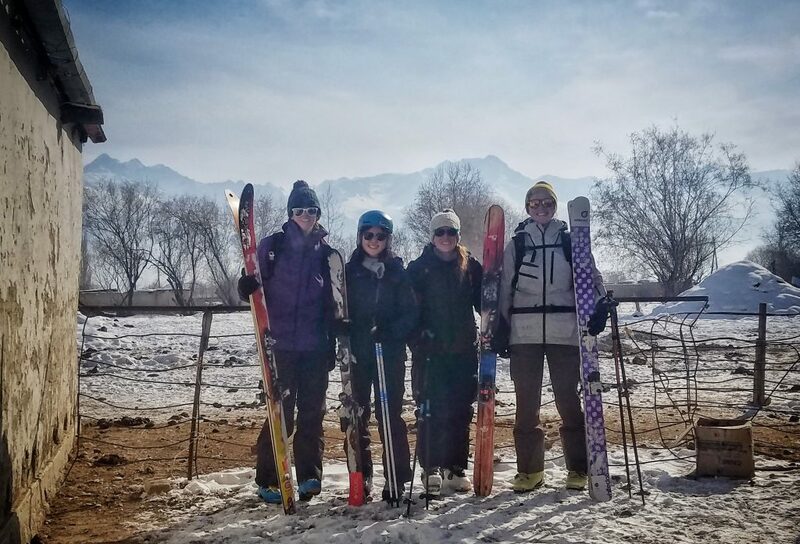 3) We made the most of the unfavorable ski conditions and took advantage of our village location to really get a true local experience. Because of this, our trip was a success. 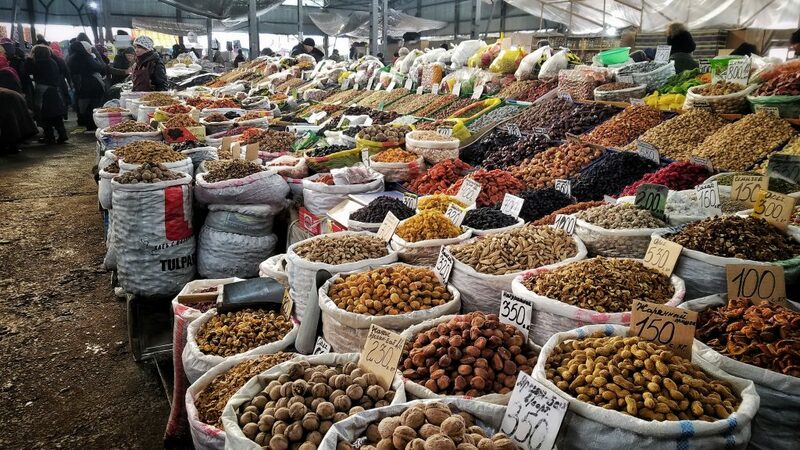 Had we not had the cultural exploration element we would have left Kyrgyzstan very disappointed. 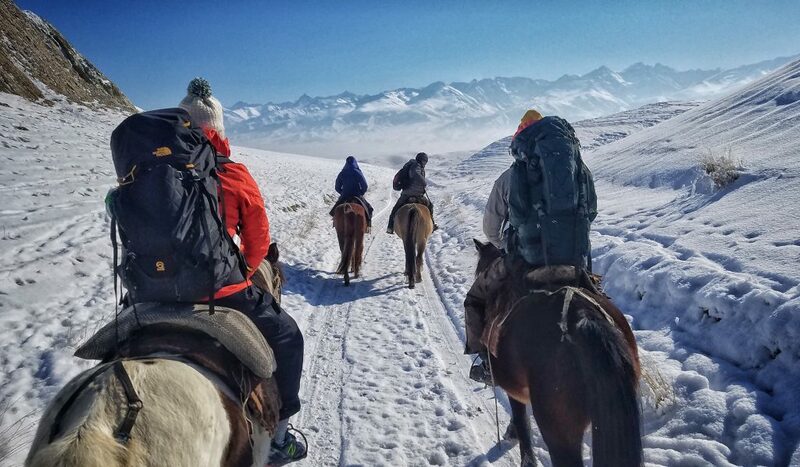 We were able to access and investigate some ski options via horseback. While our communication leading up to this project had been excellent however it fell apart at times when we were in the mountains. We were torn between trying to complete an objective and safely assessing the conditions. 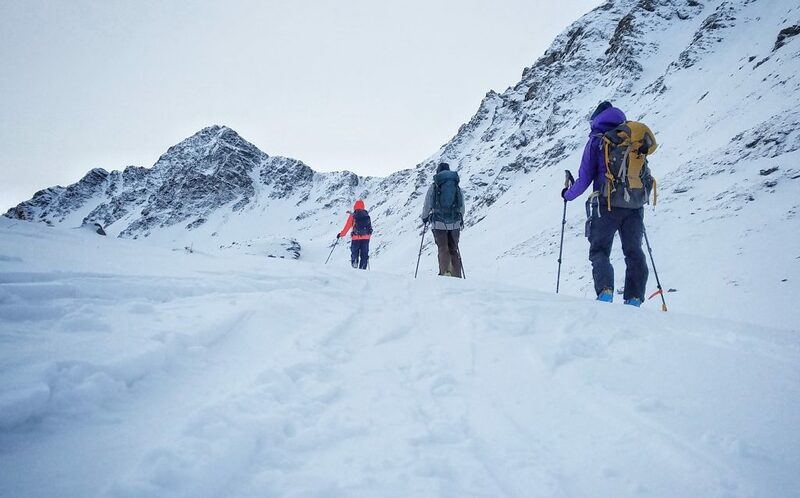 Ultimately our eagerness to summit a peak interfered with our ability to express our concerns about the snowpack safety and resulted in two of us being caught in a small avalanche. It was small, nobody was hurt, but scary and could have been much worse had we been on a larger slope. It was also VERY cold. 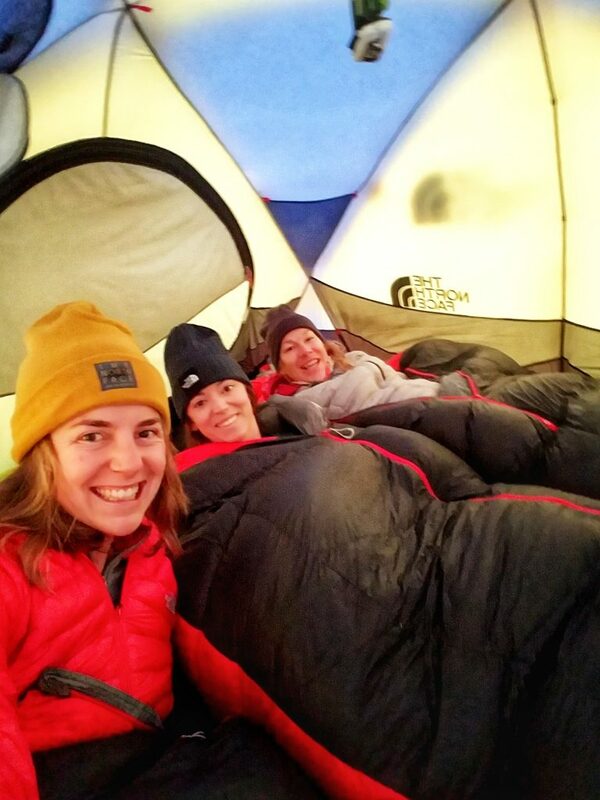 We knew that heading in and were well equipped with the best sleeping bags, mats, and tent for the conditions. We also had a well thought out emergency plan should one of us get injured and need a rescue. 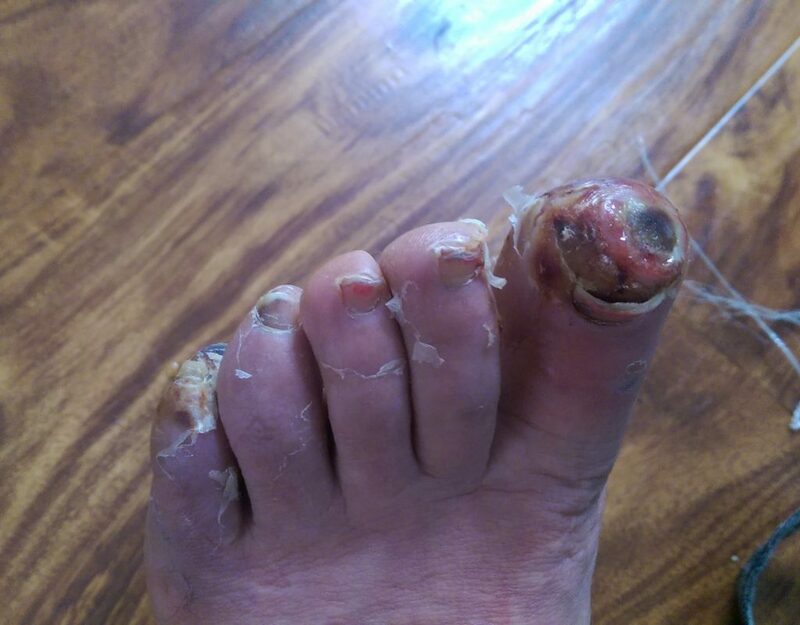 We were not aware of the non-visible signs of frostbite however and four hours after being out in temperatures well below zero Fahrenheit and numb feet one of our team got some serious frostbite. Our expedition had to end early and we skied out of the mountains having barely actually skied at all. If you had to do it again, what would you change, and why? Potentially we could be more flexible with the location in Kyrgyzstan and have a backup area elsewhere in the country. We were set on the At-Bashi range because of the local connections we had there and its large number of virgin peaks. We were aware that there wasn’t much snow and so we weren’t able to do any of the initial three traverses we planned. We moved further north in the range to a new location where there had been more snow which was marginally better. The avi danger was high here, but there was also significant danger in all parts of the country this winter. More time would make a big difference. Even If we’d allowed four weeks instead of three it means an 8-day airline baggage delay wouldn’t have been as much of an issue and we could have had more time to investigate other mountain ranges and have more weather windows. Probably most significantly we wouldn’t go again mid-winter, we went in January as all of us were able to secure time off work then but a trip later in the season (probably but not guaranteed) would have meant warmer temperatures and a more stable snowpack. Overall, would you do it again? Yes absolutely. We’re already planning another expedition with kayaking to access skiing in Patagonia. We’re prepared for things not to go as planned again and have learned a lot from this trip to make the next one more successful in other ways. Shepherds hut near one of the areas we initially planned to ski. Skinning away from basecamp towards our objectives (not pictured). 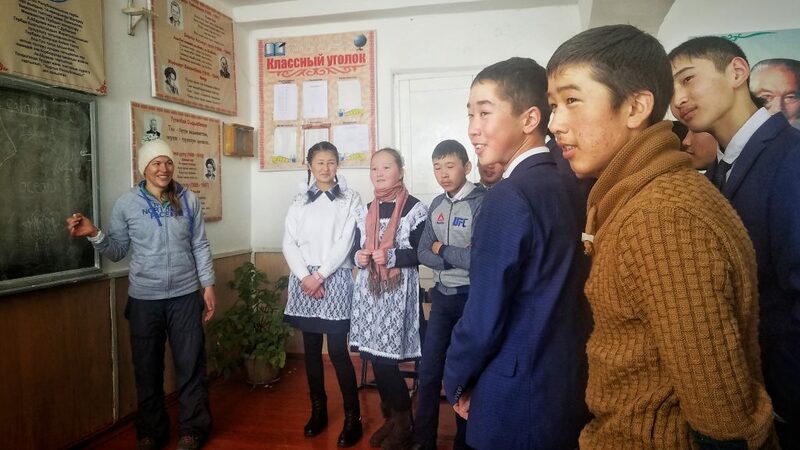 Impromptu English lesson at the local school. Again another opportunity we wouldn’t have had if the ski bag had arrived on time. Team photo including Cholpon our translator who we brought equipment for and taught to ski on the slightly inclined road. Camping at treeline our first night on the way up to basecamp. A cold afternoon attempting to stay warm and positive inside the tent. Reader's Comments on "First Responders: Why do you tolerate unfit police and firefighters?"